NiceLabel Blog Can The FIC Regulation Become An Advantage For You? Can The FIC Regulation Become An Advantage For You? The short answer is, ‘YES’. Long answer is, ‘YES, in so many ways’. We are firm believers of turning a negative situation into a positive one, and it is all about the approach you take. We realize the effort needed to adjust your labels according to the new regulation seems tiring and overwhelming. Studying the legislation and revising your labels results in extra work in addition to your regular production processes, and it won’t impact in your sales numbers. If you are wishing there was a simplified version of the official legislation, you’re in luck! Download our Brief Guide to the EU Nutrition Labels to learn the key changes coming your way. While there is a negative side, there are many positive aspects as well. Revising your nutrition labels may not increase your sales, but taking advantage of the situation and revising your labeling processes will increase your workflow efficiency greatly and decrease your operational costs and time. The process of modifying your nutrition labels manually is highly prone to errors and is a very slow process requiring the effort of multiple people. Choosing to work with an automated complete solution allows data to be stored to be in a single file, equipped with pre-designed templates, instantly transferring correct data into label designs and sending them to print. The solution will drastically change efficiency and reduce overall time spent with these processes. Switching to a smarter tool might seem like a scary investment for the short run, however we highly suggest looking into all your current processes and associated time, costs and risk of errors. In the long run, working with a smart and efficient tool that ensures compliance, accuracy and speed is guaranteed to save you time, effort and money. To read other blog posts related to the EU Food Labeling Regulation, click here. To read more about the key changes of the regulation, and steps you need to take to comply, download our ebook here. How will the change in serving and package sizes affect your nutrition labels? What are the main changes to the FDA Nutrition Facts label? Counting Down to New Food Labeling Regulations in Europe: Are You Ready for December? How to choose nutrition analysis software? 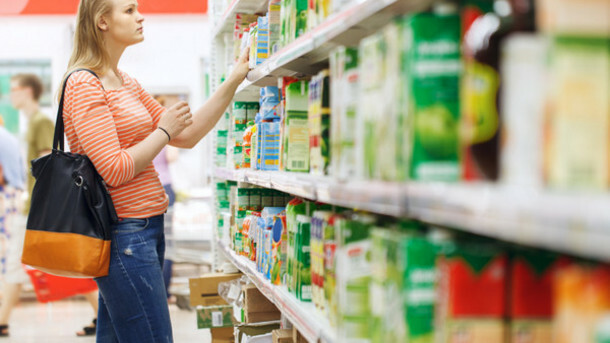 What Makes A Food Label Design Tool Perfect and Ready For New Nutrition Regulations?